PROMAX is a local family owned carpet, duct and upholstery cleaning company located in Milwaukee. We offer affordable, safe and effective ways to clean any type of carpets, air ducts and upholstery for any home and business owners in Greater Milwaukee Area. 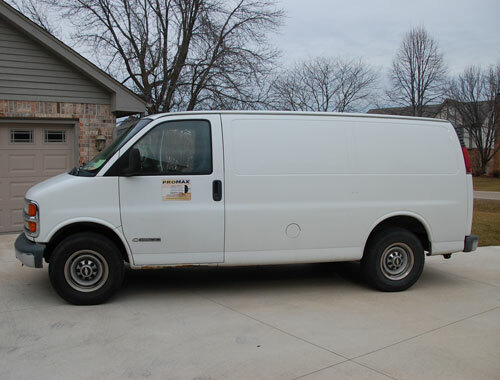 Besides Milwaukee we also offer our services across Southern Wisconsin and Northern parts of Illinois. Schedule your carpet cleaning or duct cleaning appointment now! Best carpet cleaning, duct cleaning and upholstery cleaning service in Greater Milwaukee Area! 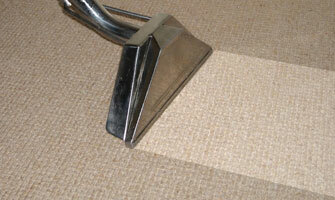 Hundreds of carpet and duct cleaning jobs in Milwaukee, hundreds of loyal and satisfied clients. 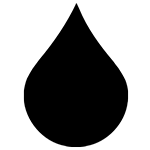 "I normally don't leave reviews but they did an awesome job cleaning the duct work! Cleaned the cat pee smell out from previous owners! Very friendly and nice guys! Thank you and you will be recommended to lots of people I know and I will be calling for more services to be done in the future!" 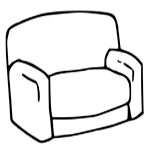 "Les has been taking care of our carpets and air ducts once a year for last 10 years. He is professional, always on time and solid. 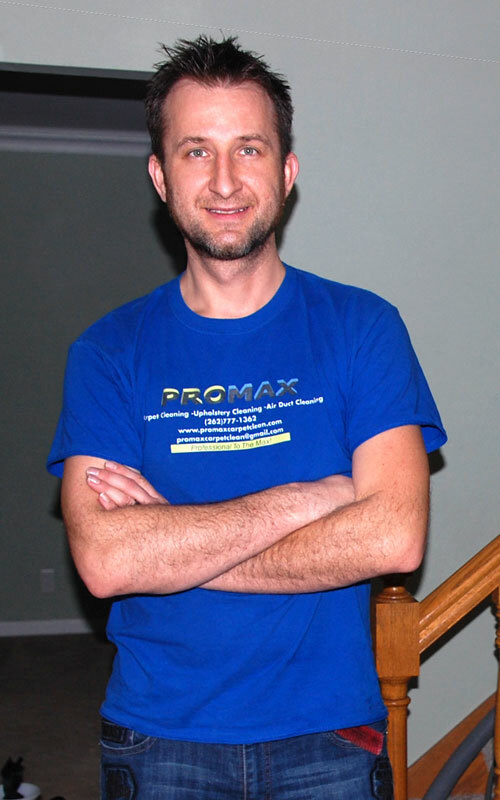 I recommend Promax to anybody who needs quality carpet cleaning or duct cleaning services." "Wonderful people, wonderful family, excellent work!!" "I'm extremely happy with this service, and couldn't praise them highly enough!" "My family is very impressed with the results! A deep steam clean for our carpets and our whole house feels newer and cleaner. We love our carpets again and saved us a ton by helping us postpone costly replacement projects. 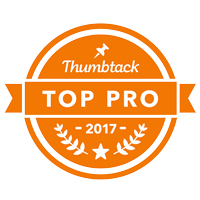 Thank you greatly recommend"
"Great Job on my carpet done quickly as well very thorough and informative"
"Excellent service very fair pricing. Highly recommend. Les was easy to deal with." "Les the owner is very kind. Cleaned both my den and living room at level three but ony charged me level two price! Carpet looks and smells amazing. Price is very competitive." "Very pleased. Reasonably priced and my carpets look 100 times better. Will be using ProMax again." 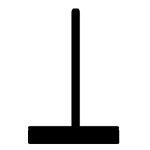 "Cleaned three sections of snap in boat carpet that were stained with several seasons of use. Very satisfied with results at a very competitive price. Recommended"
"I hired ProMax to clean my couch and mattress after a pet soiled them both. I was able to get an appointment right away. I was very satisfied with how my furniture was thoroughly cleaned and sanitized and also at a very reasonable price. I highly recommend ProMax Carpet Clean for the services they provide." We are on the mission to make your carpet perfectly clean, air ducts free of dust and your furniture look like new again. 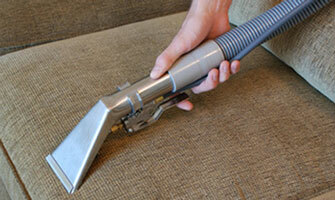 We use the best methods and equipment for all our carpet cleaning and duct cleaning projects in Milwaukee. In order to ensure the highest quality and stunning results we only use the most professional equipment for carpet cleaning, duct cleaning and upholstery cleaning projects. Over many years of providing our cleaning services in Greater Milwaukee area we developed the most effective methods to make sure 99.9% of dirt, bacteria and other contaminants are removed from your carpets, air ducts and furniture. We use portable carpet cleaning machines which are capable of producing extremely hot water that allows us to extract 99.9% of dirt, bacteria and other pollutants from any carpet in Greater Milwaukee Area. 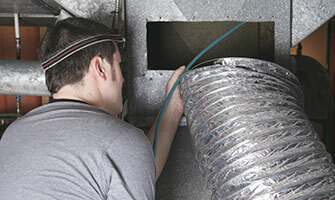 If you want to make sure air ducts in your house are free of dust and other allergents then look no further. We have expertise, methods and equipment to make sure any cooling/heating system in Milwaukee is as clean as it can be. Cleaning upholstered furniture can be tricky and if not performed correctly can cause irreversible damage. Let us do the job. We posses necessary know-how and methods to extract dirt from any furniture to make it look like new again. In case of emergency do not hesitate and call us at 1.262.777.1362. The longer you wait the bigger damage can be done to your property. 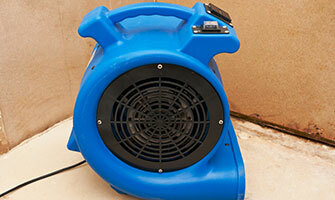 We provide 24/7 emergency water extraction service for all home owners in Milwaukee area. We use the most powerful portable carpet cleaning equipment in Milwaukee. 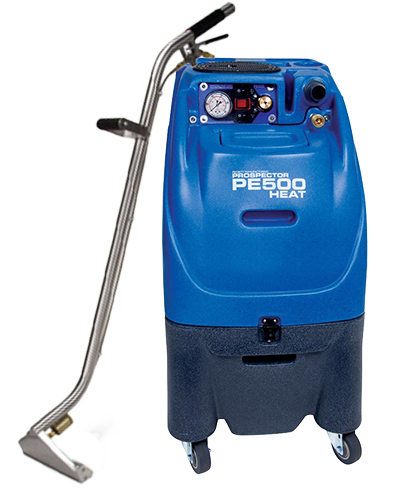 Our portable carpet cleaning equipment produces the same suction power and temperatures as truck mount solutions. They allow us to easily access any apartment or the furthest corner of any house for the best carpet or duct cleaning results in Greater Milwaukee area. 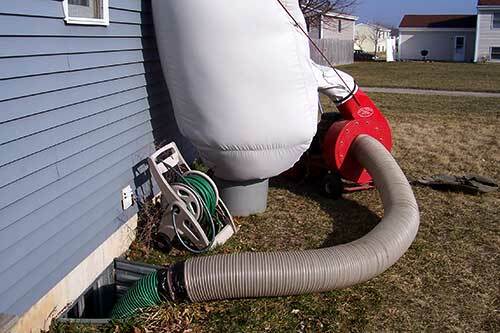 We are one of the few companies in Milwaukee that utilize NEGATIVE AIR PRESSURE duct cleaning method. We use various duct cleaning methods with a combination of the negative air pressure system to make sure your house vents are perfectly clean. 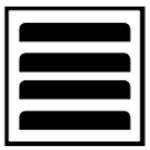 As we whip and brush your duct vents the powerful suction permanently removes dust, sand, hair and other contaminants from your heating/ cooling system.